No, I haven’t lost the plot. Such a thing exists – and if you’re familiar with North London, there is a good chance you already know about it. What better way to make use of an out of service, old London red bus than to turn it into a place where people can sell homes. 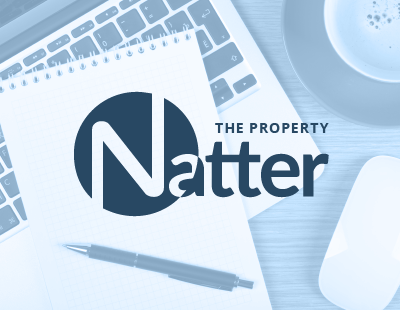 With the above in mind, this week’s Natter is dedicated to the quirky, offbeat and eccentric estate agents out there – the ones who make the industry just that little bit more interesting and unique. Only one place to start, really, with perhaps the most iconic and distinctive estate agency office in London, if not the UK. Camden Bus Estate Agents, which first opened its doors in 1986, specialises in selling flats and houses in 200 local streets. But, of course, its most unique feature is the fact that all the work happens out of an old London Routemaster bus. Charles Christie-Webb was the man responsible for founding the agency, some 32 years ago now, and the focus is very much on local knowledge and zoning in on one defined area. Christie-Webb still runs things on a day-to-day basis, with a very close-knit team surrounding him. All of them are seasoned property professionals (Gary Lazarus, for example, has directed all the valuations and sales since 1992), while the method of selling homes aims to be both enjoyable and efficient. What’s more, if the help of a local property expert is needed by TV or radio companies working in Camden, Christie-Webb is typically the man they turn to. Strong local knowledge, experienced staff, early starts (fifteen years ago the agency experimented with an 8am start and witnessed amazing results; now the majority of their sales stem from early morning weekday viewings to busy professionals on their way to work), same day appraisals, graduated fees, accompanied viewings, value for money and an absence of small print are the main calling cards. This promotional video from 2012 gives a bit more of an idea of where they’re based and what the repurposed bus looks like. It’s become something of a local Camden Town landmark – a physical reflection of the area’s famously offbeat, avant-garde vibe. Can I get a flat white and a home? Next up is Go Move, which combines an artisan coffee shop with estate agency services. The mission is to make property transactions as easy and hassle-free as buying a coffee, with the estate agent office open from 9am to 6pm while the coffee side of the business shuts down at 3pm. The idea is for people to pop in for a coffee and a chat in a relaxed, comfortable environment – the sort of atmosphere you’d find in any independent coffee shop – with friends and family more than welcome to join as well. Go Move, which is part of property services group Go Holdings Ltd, founded in 2002 by Oliver Hookway, is a single-branch agency based in the popular commuter town of Hertford. The Managing Director is Oliver Ingles, who is in charge of valuing and property listings, while Director Edward Casson (who has 16 years’ experience in agency) oversees the day-to-day running. The agency, which launched in July 2016, aims to offer something a bit different from the norm, with premium open house events replete with red carpet treatment, prosecco and canapés, drone photography and video tours, extensive social media exposure and listings on interactive touch screens. The agency also insists there is a personal property expert ‘on hand to call, email or text any time, day or night’. What about the cake and coffee, I hear you ask? Well, as you’d expect, Go Move say they have the best coffee and cake around, with its roaster – Lulu Coffee Company – providing their very own ‘unique blend’ to ensure the mochas and lattes are up to scratch. If you want to make selling a home a piece of cake, this could be the agency for you. An agency which offers something similar is Thornton Robson, which was featured in this Natter a couple of years ago. Founded by Tracey Thornton, who has been in the industry since the 80s, the agency in the heart of Rugby town centre specialises in sales, lettings and property management, but infuses this with ‘Oliv’ – its integrated coffee/cheese shop and soft furnishings business. Again, the plan is for people to pop in for a coffee in a relaxing environment and talk property at the same time; maybe even purchasing some furniture along the way. One of the most written-about estate agents in the country is The Real Ralph Bending Estate Agent, an agency based in Glastonbury known for its un-PC, wacky, jargon-free approach. In a piece written for The Telegraph a few years ago by EAT editor Graham Norwood, titled Britain’s best small estate agents, Ralph Bending was in 20th place thanks to its tell-it-as-it-is style – a small flat, for example, was advertised as being perfect for ‘a midget on a budget’, while other descriptions in the past have included ‘characterful as a vegetarian’s fart, this Victorian beauty hums to the rhythm of a well soaked mung bean’ and a ‘three-bedroom former school house with everything except the randy old teacher and fag butts down the loo’. One description, for a house with a view of the Glastonbury Tor, even had the sales pitch of ‘wouldn’t you like to wake up to a massive erection?’, while another said ‘if this house were a person she’d be dressed in Chanel and not wearing knickers’! It’s got the man behind the descriptions, Jules Bending, into trouble in the past, with Rightmove and other portals banning the firm and local newspapers barring advertisements on grounds of bad taste and questionable language. The Real Ralph Bending Estate Agent website also includes a section called Ralph’s Rant Archive and one called Ralph’s Video Booth, where visitors are invited to share their funny videos. 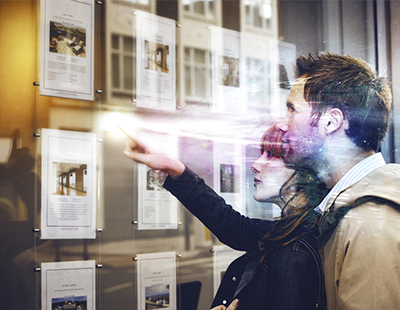 The agency certainly knows how to grab the attention – which, when you think about it, is exactly what sellers want. Eyes on their property, by hook or crook, even if the means are a little, ahem, unorthodox at times. Roy Brooks kicked off this style of marketing in the 1960s, with witty, honest property advertisements in The Sunday Times and Observer helping his eponymous estate agency business (still going strong today) to thrive, while Ian Bebbington took on the honesty-trumps-all policy in later years. There has been a growing trend in recent years for estate agency offices to represent stylish living areas, and Emma’s Estate Agents in Streatham, South London, was one of the first to embrace this trend when it was established in 1995. Offering a ‘caring approach’ to property, with a tailored and unique service to each client, it certainly stands out as far as high street agents go. In recent years Haus, founded by former Apprentice contestant Jamie Lester in 2011, is perhaps the most high-profile example of an agency trying to create a homely, living room feel in its offices. Lester has since left the company, but it still has three London offices, each with their own unique look. 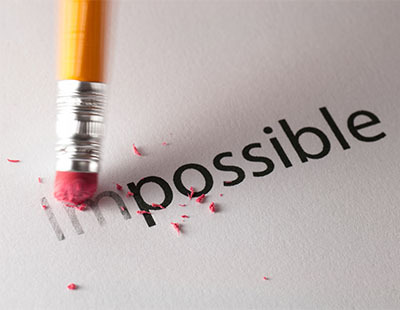 If you have any examples of an agent that bucks the trend or offers something away from the norm, please get in touch.